Most websites, applications and business processes have a sequence of steps (events) that you&apos;d expect a customer to take to achieve an ultimate goal or conversion. This is described as a goal or conversion funnel. Tools like Google Analytics lets you perform a funnel analysis on your checkout process or marketing lead-capture page quite easily. Funnels are not limited just to those processes and at times you&apos;ll have to get to the raw data to get the answers you want. You want to analyze a flow that doesn&apos;t fit one of the models provided by other tools out of the box, for example customer onboarding, filling out forms or questionnaires, etc. Those other tools require you to instrument your funnel beforehand, making retroactive funnel analysis cumbersome. You want to combine your funnel analysis with custom activation programs within your organization for the full acquisition, engagement and retention parts of the customer lifecycle. This is where funnel analysis on raw, row-level data comes into play and the full power of SQL can be unleashed. The above data could come from an e-commerce site and a customer goes through the three-step funnel: "View Product" ➡ "Add to Cart" ➡ Checkout flow. If your data is organized as a set of normalized tables – common in event analytics tools – you might have to union the tables to create a schema like the above. These two conditions can be implemented using two where clauses. Next, we&apos;ll construct the second step with the users who&apos;ve added products to the cart (event: &apos;Add to Cart&apos;) within 7 days of viewing a product. We&apos;ll accomplish this using an inner join and an additional clause on the timestamp. We&apos;ll repeat the same pattern to construct step 3 of the funnel for users who&apos;ve reached the checkout page. Conversion is simply 100% - drop-off rate. 4a. Who are the users who performed the first event and the second event? Join the event tables with an inner join as demonstrated above. This is the base case. 4b. Who are the users who performed the first event and not the second event? This query can be used to find users who have dropped off. 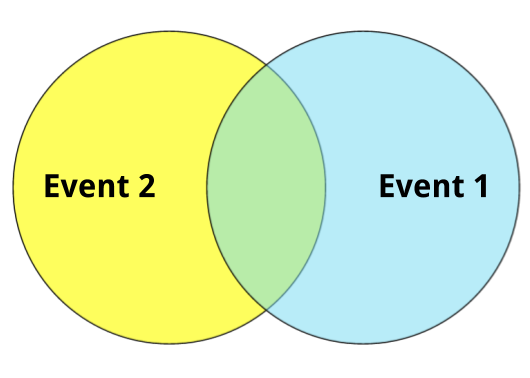 Join the first event table with the second event table with a left join and filter the resulting table for a row that has the second event table join key that is null. After you&apos;re satisfied with the basic funnel analysis, you&apos;ll want to extend it to further understand your data. We present four ideas to do this and will go in-depth in a future recipe. While the basic funnel analysis is powerful on its own, you&apos;ll want to figure out how the funnel is improving over time. This study can help you quantify the results of your A/B testing, personnel, and process changes. You&apos;ll want to present your data as a pivoted table for clarity. You can read our recipe on Querying JSON data types in PostgreSQL if you&apos;re looking for tips on working with schemaless column types with PostgreSQL. Sometimes you want to restrict a funnel to a single user session. You need to make a couple of changes to the queries: first, you need to group by both user_id as well as session_id. Secondly, you will want to include the session_id in the join clauses. We have a SQL recipe on sessionization in the works and we&apos;ll release it shortly. The funnel analysis queries so far have used a hard cutoff of 7 days in order to determine the next funnel step. In practice, you&apos;ll want to create a variety of cutoffs, for example windows of 1 day, 7 days and 30 days in order to compute conversion rates. This is known as rolling conversion rates.